In 1927 Lord Aberconway's survey of British engineering records "The Leeds Forge Co, which has a capital of £1,300,000 and employs 1,500 men, commenced business as manufacturers of corrugated furnaces for marine boilers, the invention of the late Samson and William Fox. For many years there was scarcely any shipping line of note to which they were not supplied. To-day, while the making of this type of furnace is still part of the firm's activities, the advent of other types of boiler has caused an almost complete cessation of the original demand. Now, Leeds Forge is chiefly engaged in the construction of all-steel railway rolling-stock, which is built here on the pressed-steel system. The famous Riviera Express— "The Blue Train" is a product of these works. In 1923 a controlling interest in the Leeds Forge Co. was acquired by Cammell, Laird and Co, and as orders increased the Newlay Wheel Co was also taken over by that firm." Samson Fox was born in Bradford in 1838 and was working in woolen mills by the age of eight. In 1852 he was apprenticed to Smith Beacock and Tannett where he learned about the forging of steel. It was also here that he met Glasgow ship builder Scott Sinclair who would go on to provide much of the finance for Fox to establish his own firm. Samson Fox founded Leeds Forge in 1874, initially making hammer forged crank pins and axles for locomotives. In 1877 he registered a patent for corrugated furnaces for steam boilers. The design produced stronger boilers with a greater heating surface making them more efficient making and Fox very rich very quick. He expanded into railway wagon production but found more interest from America for his metal framed wagon designs than he did in this country where wooden wagons were still the norm. This lead to Fox establishing what would become a sucessful carriage and wagon company near Chicago. The Fox Solid Pressed Steel Co was set up in 1889 with Ex Union Pacific man Clem Hackney as works manager and with famous railroad salesman Diamond Jim Brady acting as an agent for the firm. (Jim Brady was well known for his huge appetite and is said to be the inspiriation behind the name Big Jim and Monty Python's character of Mr Creosote) In 1896 a bigger plant was built at Pittsburg and in 1899 Fox sold the firm to Charles T. Schoen, its name then changing to the Pressed Steel Car Company. Samson Fox died in 1903. In 1905 the directors of the firm are listed as Bernal Bagshawe (Chairman), S. H. Ward, A. W. Fox, Henry Oxley, and Ernest Gearing (Managing Director). Also Francis L. Lane, Manager and R. W. Storey, Secretary. From the turn of the century the firm became best noted for its railway rolling stock, though this was still mostly for overseas use rather than the home market. Leeds Forge carriages and wagons were exported all over the world. 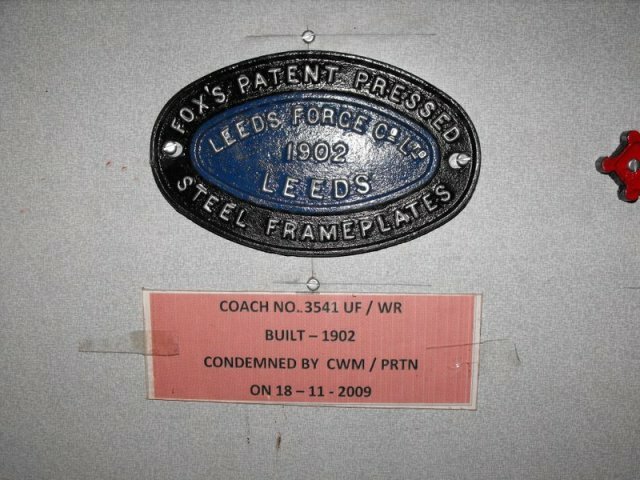 An important factor in this success was Fox's pioneering use of pressed steel construction when most British wagons were still sticking with largely wooden construction. In the UK the Caledonian Railway ordered thirty 30-ton bogie-wagons in 1902, at this time UK railways were largely restricted to small wagons of half this kind of load. A 1926 Yorkshire Post supplement commments on the strange notion that Leeds Forge was making more advanced wagons for export than we were using on our own railways here. "We have to be content with comparativeley narrow gauged lines, inadequate terminals and appliances that in a new country would never be entertained. Partly owing to the railways' limitations, we are confined to the use generally of 12 ton trucks. There are a few of 20 tons capacity, but their number so far is negligible. 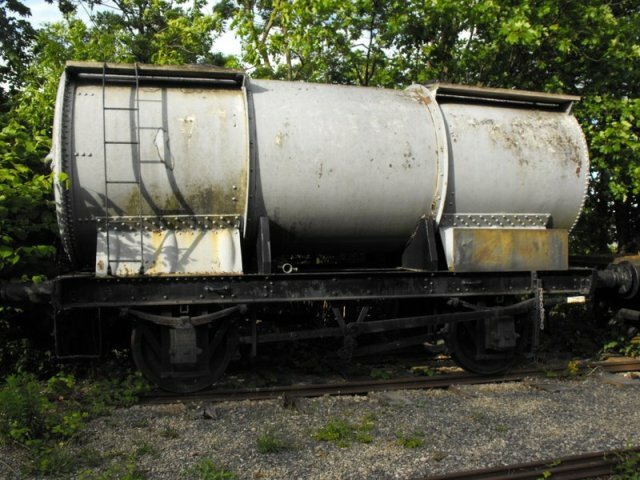 The Royal Coal Commission, in its recent Report, pointed out very clearly that the costs of the industry could be reduced if the capacity of wagons engaged in transport could be increased. The truth of this, which the Leeds Forge has always pressed is now admitted; but the present day conditions hold out very little hope of any very considerable adoption of the suggested remedy as regards household coal. Under the present method of coal dealing we have a multiplicity of small coal merchants whose depots and storage yards are extremely limited. They are capable only of taking a few tons at a time and in many instances 20 tons would fill them. They could not accommodate the discharge of a wagon containing 50 tons, even though the delivery in that quantitiy would cheapen the cost." Passenger coaching stock was built for Europe, Australia, India, South and West Africa, Egypt, Sudan and China. Leeds Forge coaches were the first steel carriages in continental use, in use on the Gold Coast, Hong Kong and in Australia. A few foreys in to powered vehicles were made by the company. In 1914 Leeds Forge built two motor cars of tube stock for the extension of the Baker Street & Waterloo Railway, better known as the Bakerloo line. Leeds Forge built car numbers 38 and 39 with Brush of Loughborough building the remaining ten of this type. These were the first underground units to feature central doors, something now standard on underground stock and suburban trains across the world as it allows faster boarding and reduces the time spent at stations. During the First World War Leeds Forge built mechanical parts for 94 of the 100 War Department Light Railway 2ft gauge petrol electric locomotives constructed by Nasmyth, Wilson & Co of Patricroft under sub-contract from Westinghouse. 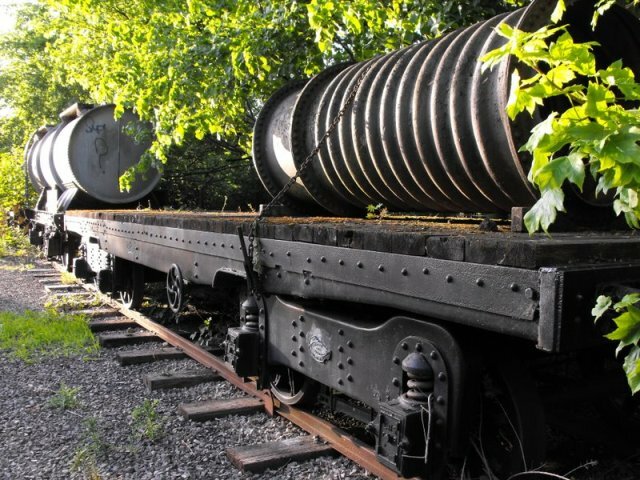 In 1928 English Electric subcontracted production of three Bo-Bo electric hopper cars to Leeds Forge for use at British Portland Cement, Greenhithe, Kent. In 1920 Leeds Forge Limited acquired the Bristol Wagon and Carriage Co and the Newlay Wheel Co. In 1923 a controlling interest was acquired by Cammell, Laird and Co. As orders increased the Newlay Wheel Co was also taken over by that firm and in 1928 another series of mergers of companies in the railway carriage and wagon industry were announced, involving parts of Vickers and Cammell, Laird and Co. One of the contributions of Cammell, Laird and Co was their interest in Leeds Forge Co Ltd. The new company was called Metropolitan Cammell Carriage Wagon and Finance Co better known as Metro Cammell. The Leeds Forge was closed in 1929. Metro Cammell went on to produce railway rolling stock in Saltley and laterly nearby Washwood Heath in Birmingham. It was sold to GEC Alstom in 1989. Some electric train construction returned to Leeds for a short time when a number of personnel from Metro Cammell left to form Hunslet TPL producing class 323 electric units at the Hunslet works prior to the closure of the Hunslet works in the 1990s. The final train orders built by the firm in Birmingham were the Pendolino tilting trains for Virgin Trains, the works closed in 2005 but part of the site has since been used for locomotive maintenence. The Narrow Gauge, Issue 231, Narrow Gauge Railway Society, ISSN 0142-5587.